The bad news is that I had a bit of a problem getting the software to function, but the good news is that support from Abhi Dwivedi and Ben Murray has been excellent. It turns out that the problem may be because I am right on the edge of wi-fi connectivity (I live out in the country) and my signal is all over the place. Ben is now going to see what he can do to fix this issue for me. I am definitely impressed with the caring quality of their assistance. I purchased the multi user and developer upgrade license for $69 though you can get a straight multi user license for $37. I also purchased the Video Sales Authority OTO. When all is said and done unless you have a natural sales and marketing bent, It is important to understand the “Psychology Of Buying” (Module1) You really do need to figure out who your customer is and what will get him or her to buy. All in all there are 12 modules which among others also deals with persuasion techniques: – why people say no to your product; writing your copy; creating talking head “green screen” videos as well as other video creation techniques. Suffice to say, I am very happy with the purchase of this particular OTO. 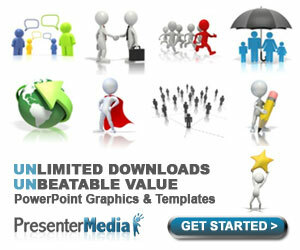 This works in a very similar manner to Powerpoint (pc) and Keynote (mac). You can add an existing voice over or record your own. I did find it a bit simplistic, but at the same time it is quick and easy, especially for those just starting out. Insert your keyword in the YouTube section and it will pull up related keywords and let you know how much they are in demand. The same goes for keyword research in Google which lists the keywords along with the monthly search numbers. It also shows demand for those keywords using the colors yellow, green, orange and red You can also check to see what is trending on Facebook, Linked in , Twitter, Pinterest and Google+ and gives the number of shares for each. YouTube – uses orange Green and Red colors under various headings to see which is the easiest to beat out. Shows Rank, Videos, Title, Views, Likes, Comments, Description, Transcript and Channel. You also get to see any related numbers. So it is easy to see where you can improve info for existing videos or find keywords that you can easily beat for new videos. You can also export the info as a CSV file. Google – gives the competition url along with the authority percentage, number of page links, link juice, Domain Moz Rank and the age of the site. Some of those factors are not color coded because of the fact that so many people use poor quality links etc and are thus considered not so important. This tells you whether your chosen keyword for both YouTube and Google is really worth the effort based on demand and competition and also provides an overall score as well. This will tell you where your video ranks on YouTube for up to 5 keyword terms. This is effectively a method of pre-ranking your videos. It is in two parts – Rank Spy and Rank Suggestion. Rank suggestion will calculate out what your video rank will be for a specific keyword and will give you a huge number of additional keywords to make use of for Title, Description and tags which you write up in the software and then copy and paste into your channel once you have got it right. When you have inserted the required info, the software will then calculate your score. It will also give you suggestions on what to do to improve the score. Rank Spy allows you to load a competitive video url in order to find the tags that are being used. This is your back linking tool. The “Search” section will find sites based on a keyword. It includes the page rank of the various sites and whether or not they are “Do Follow”. You can add the sites of your choice individually or you can auto submit. The auto submit section also allows you make use of spin text for the comments. If you wish you can also add any additional sites that you might wish to backlink to. My overall feelings regarding the main Vidneo software…. I love it. It allows for fast and efficient work.